These posts were combined to form the newsletter TeamWork volume 34 issue 2 (Fall 2017). Lydia Putnam reported that Biblical has completed visits from both ATS and Middle States. ATS granted Biblical full accreditation for seven (7) years, with a focused site visit planned post-move, which is now anticipated to occur sometime in 2018. Middle States also gave full accreditation approval and will visit the institution once they move; the library in particular was commended for demonstrating ingenuity and financial stewardship. Lydia also announced that the webmaster left and Lydia has assumed these responsibilities for the interim. Laura Saloiye announced that Cairn will be offering four (4) new majors in the fall: computer science, information technology, criminal justice, and graphic design. The library received a 1500 volume collection on Biblical archaeology from Towson University. Clint Banz reported that April 21, 2017 was the final day of the Association for Biblical Higher Education Commission on Accreditation (ABHE) site visit. The Middle States accreditation team is scheduled to begin their visit to Lancaster Bible College on Monday, April 24, 2017. Beginning fall 2017 we will be offering two additional majors: Music Education and Criminal Justice. Also our Church Ministry Leadership department is underway with a search for someone to direct our Pastoral Ministry major. Concerning the library we have created several library tutorials and look to have several additional ones completed this summer. In February, we implemented OpenAthens single sign-on authentication alongside Google Oauth2 authentication for our OPAC. Current students, faculty, and staff are now able to use their seminary accounts to log in to both their library accounts and all our electronic resources. Alumni/ae who do not have seminary accounts, now have OpenAthens accounts to access select electronic resources. This has streamlined and simplified access to our electronic resources and has also allowed us to offer off-campus access to many online journal subscriptions not previously accessible off campus. This spring we completed a complete revision of the seminary’s records management manual and added provisions for managing and archiving electronic records. To help with collection and organization of born-digital records we’re using ResourceSpace, an open source digital asset management platform. Over the summer we will be creating a makerspace with the primary objective to support students in a new required course, Christianity and the Arts. The space will include a sewing machine, easels, and additional tools for visual and fiber arts. Seminary librarian, Myka Kennedy Stephens, is looking forward to a 6-month research and writing sabbatical beginning in July. B. Bohleke reported that there is a new board of trustees/directors in place and that the merger of the Gettysburg and Philadelphia campuses begins July 1, 2017. During the spring academy week, library staff and an intern created a display featuring some original works of Martin Luther. Elizabeth Young Miller reported that Moravian has been busy working on their ATS self-study. Ondrea Murphy announced that New Brunswick now offers a doctorate in transformational preaching, and they are looking forward to welcoming a 2nd cohort. The president of the Seminary is retiring in June, and there will be a new homiletics professor for the fall semester. Based on fundraising efforts external repairs have been completed along with a dedicated brick walkway. The institution is nearing its capital campaign goal, and they have begun the Middle States accreditation process. Dr. Jim Sauer announced that Dr. David Bronkema is still the interim dean of the seminary; he offers great leadership and brings a calming spirit to the Seminary which has gone through much change in the last years. Palmer’s library is now fully merged with Eastern’s library. Marvin Smith acts as our Theological Research Librarian. Jim also gave an update on several programs. While most traditional programs remain flat, the Eastern School of Christian Ministry (ESCM) program geared toward laity and continuing education is growing, as well as the Open Seminary, our international online program. Also, a cohort based Seminary program is showing great signs of development in Mexico and other Spanish speaking areas. To become more competitive, the requirements for the MDiv program have been adjusted; the degree can be completed in 78 credit hours instead of 120+ hours. The 25th anniversary of the West Virginia Campus was celebrated. Some of you may already know this but in September 2016, the Library was delighted to have Melody Mazuk serving as interim director. Her leadership has moved us forward in many important ways and we are very grateful for her talents. This you may not know but in late February we welcomed Melvin Hartwick to the library team part-time to assist with cataloging a 42,000+ volume collection of Dutch language material, purchased by Princeton almost 20 years ago. The wonderful combination of his cataloging skills and language expertise has been a gift to Princeton, as we seek to make this material more accessible to researchers. In June, Greg Murray, Director of Digital Initiatives, will be at ATLA to present on digitizing local collections, using our Theological Commons as a platform. The search for a permanent James Lenox Librarian continues. Staff and student scheduling programs. Alan LaPayover announced that Reconstructionist Rabbinical College will be celebrating their 50th anniversary in 2018. In this online learning world, the conference session on embedding rights in distance education was very helpful. James Humble reported that, after a year-long search, St. Charles will enter into a provisional partnership with a Philadelphia-area college, which may lead to a merging of operations down the line. In the meantime, the Seminary is busy working on its self-study, with institutional visits planned for next year. Sergei Arhipov announced that St. Tikon’s completed their ATS self-study and are accredited for the next seven (7) years without any stipulations. After twenty (20) years at St. Tikon’s, Sergei will be retiring; however, he will be continuing as an adjunct. Michael Skor will be the new head librarian. We are in the midst of the Self-Study for our Middle States Commission on Higher Education (MSCHE) reaccreditation. The on-site visit will occur this fall. UVF has also elected a new president, Rev. David Kim and also a Chancellor, Dr. Ron McManus. Sandy Finlayson provided an update on both the seminary and the library. He announced that Westminster now offers an online Masters of Arts in Biblical Counseling. In 2018, on campus housing will be added for seminary students. The library has experienced some staffing transitions. Karla is leaving. On June 1, a new assistant librarian begins. The e-book project spearheaded by Donna Campbell is thriving with thirteen (13) libraries participating and fifteen (15) publishers. Currently 674 titles are offered with the hope of 1,000 by the fall semester. Alan LaPayover has declined to serve on the Continuing Education Committee. Therefore, we have one opening that we will need to fill at the business meeting. Stephanie Kaceli has agreed to continue as the Newsletter Editor for the one-year appointment (2017-2018) and is looking forward to trying out a new newsletter style and workflow this fall. Elizabeth Miller has been approved (via email) to serve as chair of the Membership Task Force. The sun is now setting after a warm, sunny day in central Florida where I am attending a library conference. It is energizing to meet other librarians and hear about the work they are doing in their libraries. I usually return from a conference with a handful of ideas to explore, and a little sad that it may be many months before I remeet the librarians I connected with to share ideas again. SEPTLA meetings are like other library conferences in that they are a great place to share ideas with fellow librarians, but they are also different. Unlike traveling to an exotic destination or world-class conference center, we meet regionally twice annually in one another’s libraries. We’re seeing SEPTLA libraries in action, first-hand. We’re building collaborative relationships across our libraries. We’re learning from each other and supporting one another in the work that we do as theological and religious studies librarians in eastern Pennsylvania and New Jersey on a regular basis. Our upcoming Fall meeting at Lancaster Bible College continues this fifty-three-year tradition. The morning session will involve a group exercise in recognizing and sharing our wisdom and experience with one another so that we may begin building a resource network within SEPTLA. In the afternoon, both Interest Groups will be convening a joint session with Greg Murray to hear about Princeton’s digital archiving initiatives. We’ll also tour the new Teague Learning Commons at Lancaster Bible College. 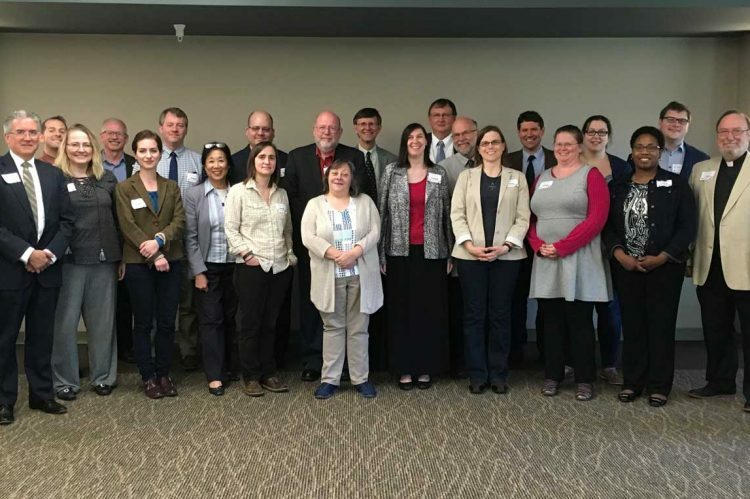 As we continue exploring new ways to meet the needs of our members, SEPTLA remains committed to fostering collaboration and relationship building among theological and religious studies librarians in this region. These personal connections make SEPTLA special. You make SEPTLA unique. We currently have several opportunities to get involved in this special and unique association. The Executive Committee is particularly looking for those interested in membership, continuing education, and archives. Are you feeling called to serve SEPTLA? If so, please reach out and let me know. There will also be an opportunity to volunteer during the business meeting. I look forward to seeing you on October 4. Myka Kennedy Stephens welcomed everyone and explained that an experiment was underway—B. Bohleke (Lutheran Theological Seminary Gettysburg), Debbie Hirneisen (University of Valley Forge) and Jeremy McGinniss (Clarks Summit University) would be joining everyone virtually. Myka thanked Ondrea Murphy and New Brunswick Theological Seminary for their hospitality and for hosting the meeting. Ondrea, Samantha Rice, and Bethany O’Shea made check-in a seamless process. Myka then called the meeting to order. Myka Kennedy Stephens asked if there were any changes to the agenda. Seeing none, Lydia Putnam moved that the agenda be approved. Clint Banz seconded the motion, and the motion carried. James Humble motioned to approve the minutes from the fall 2016 meeting. Sergei Arhipov seconded, and the motion carried. Patrick Milas reported that he is considering speakers for the fall meeting. Chris Schwartz explained that she had nothing to add to the report; the Cataloging and Metadata Interest Group has no plans at this time for the fall meeting. Karla Grafton reported that the Continuing Education Committee is looking for a new chair and emphasized that this is a great committee. Karla also announced that this is her last meeting and expressed her thanks; she has learned from all of us. Goals have been identified for each category and a list of ideas has been included. The task force recommended the Executive Committee, Continuing Education Committee, and Resource Sharing Committee be charged with following up on these items and establishing outcomes and assessments. Myka Kennedy Stephens explained that the revisions to the constitution and bylaws were lengthy. She grouped the motions into thirteen (13 slides), detailing the motion, how it will read, and the context. The constitution and bylaws can be changed by a two-thirds (2/3) vote of the total membership. Since there are eighteen (18) member institutions, twelve (12) must vote in favor for the motion to pass. Patrick Milas would monitor the chat and electronic votes. After this explanation, Myka asked if there were any overall questions or concerns. Seeing none, changes to the constitution were addressed first. 5.5.2. The Executive Committee shall consist of the President, Past President, Secretary, Treasurer, and the Chairs of Committees, Interest Groups, and active Task Forces. 6.1. The association may organize itself by means of committees, programs, interest groups, task forces and other forms as described in the by-laws in order to further the purposes of the association. Vote: Sandy Finlayson seconded the motion, and the motion passed with 14 institutions in favor. 7.1. Amendments, additions or deletions to the articles of this constitution may be made by a two-thirds majority vote of the Member institutions. Such amendments, additions or deletions shall be distributed in writing to the Members at least 30 days in advance of the next duly called business meeting. Discussion and additional motions may proceed during those 30 days and at the duly called business meeting. The vote on the final version of the motion will be conducted by email or other digital means over a 7-day period beginning at the conclusion of the business meeting, with each Member institution having one vote. The voting process will be overseen by the Executive Committee. Discussion: Myka Kennedy Stephens explained that this motion makes it more convenient for everyone to participate. Ondrea Murphy asked if “in writing” meant via e-mail. Myka responded that “in writing” designated in print either as part of teamwork or communicated in text, probably electronically. Lydia Putnam expressed concern that “print” denoted snail mail and suggested changing the language to “in text.” Ondrea mentioned that some people do not look at their e-mail. Sandy Finlayson amended the motion to strike “in writing” to avoid any confusion (see above). Vote: Clint Banz seconded the amended motion, and the motion passed with 15 institutions in favor. 5.5 Chairs of each interest group and committee shall begin their term of service upon the adjournment of the Fall meeting. 5.6.2. Vacancies in any office shall be filled by appointment by the Executive Committee with the appointee to serve the remainder of the term. Discussion: Virginia Dearborn asked why in section 5.5 there was a motion to strike “A Chair may stand for re-election for a consecutive second one-year term.” Can the chair not run for re-election? Myka Kennedy Stephens explained that this motion eliminates a redundancy. With regard to 5.6.2, James Humble asked if there was a way to get out of an appointment. Myka responded that a person would need to consent to the appointment. She explained that the rationale for this motion is to allow the Executive Committee the ability to appoint a president. Gerald Lincoln explained that Clint Banz was appointed Treasurer, but not necessarily for the entire term. Myka mentioned that Clint was appointed for one (1) year, since most positions are for a one (1) year term. The language could be amended to “serve until the next election.” Melvin Hartwick announced that those appointed could resign if necessary. Jenifer Gundry elaborated that Clint’s appointment has been labeled “interim” because he has been gracious to assume this role. Vote: Myka Kennedy Stephens asked if there was a motion to amend 5.6.2. Seeing none, Ondrea Murphy seconded the original motion. The motion passed with 15 institutions in favor. 6.5.1. The Newsletter Editor shall be appointed by the Executive Committee. 6.5.2. The Newsletter Editor is responsible for collecting and publishing one issue at least 30 days prior to each plenary meeting. 6.5.3. The Newsletter Editor shall serve as Co-Chair of the Communications Committee. Discussion: Melvin Hartwick asked if Teamwork was disappearing in favor of a newsletter. Myka Kennedy Stephens explained that Teamwork is the newsletter. The new language offers flexibility, especially for an online publication. Vote: Sandy Finlayson seconded the motion, and the motion passed with 15 institutions in favor. 6.6.1 The Website Manager shall be appointed by the Executive Committee. 6.6.2 The Website Manager is responsible for keeping the SEPTLA website current. 6.6.3 The Website Manager shall serve as Co-Chair of the Communications Committee. Vote: Lydia Putnam seconded the motion, and the motion passed with 15 institutions in favor. 6.7.3 The Archivist shall obtain annual snapshots of the SEPTLA Website for the SEPTLA archives. Discussion: James Humble reflected that this language seems more vague and asked “why.” Can the snapshot be taken anytime during the year? Myka Kennedy Stephens responded that the original language is too specific. The motion offers flexibility both with regard to timeframe and with advances in technology, using the digital means available. Vote: Donna Roof seconded the motion, and the motion passed with 15 institutions in favor. 6.9.1. Chairs of Interest Groups, as established by Section 8, shall be elected by the membership of the interest group. 6.9.2. Chairs of Interest Groups shall be responsible for leading Interest Group meetings. Discussion: Myka Kennedy Stephens explained that this was a housecleaning measure to ensure that the bylaws match our practices. Vote: Virginia Dearborn seconded the motion, and the motion passed with 15 institutions in favor. 6.10.1. Chairs of Task Forces, as established by Section 9, shall be appointed by the Executive Committee. 6.10.2. Chairs of Task Forces shall be responsible for leading Task Force meetings. Vote: Jenifer Gundry seconded the motion, and the motion passed with 15 institutions in favor. 8.1. The association may have interest groups focused on areas of interest in librarianship. 8.4 The Chair of each interest group shall serve on the Executive Committee. Vote: Alan Lapayover seconded the motion, and the motion passed with 15 institutions in favor. 9.1. The association may have task forces to manage projects of a limited duration. The duration of a task force may be flexible based on the need and nature of the project. 9.2. Upon discussion by the Executive Committee and approval by a majority of Executive Committee members, new task forces may be constituted and charged with a specific task. 9.3. Each task force shall have a Chair and members, all appointed by the Executive Committee. The number of members may vary based on the need and nature of the project. 9.4. The Chair of each task force shall serve on the Executive Committee for the duration of the task force’s existence. 9.5. The Executive Committee shall disband a task force at the completion of its charge. Vote: Patrick Milas seconded the motion, and the motion passed with 15 institutions in favor. 10.1.1. There shall be an Executive Committee which is charged with long-range planning for the association and overseeing the fulfillment of the officers’ duties. 10.1.2. The Executive Committee shall consist of the President, Past President, Secretary, Treasurer, the Chair of the Continuing Education Committee, Website Manager, Newsletter Editor, the Chairs of the Interest Groups, and the Chairs of the active Task Forces. 10.1.3. The President shall serve as Chair of the Executive Committee. 10.1.4. The Executive Committee is responsible for appointing the following administrative officers: Chair of the Continuing Education Committee, Website Manager, Newsletter Editor, Archivist, Chairs of Task Forces. 10.1.5. The Executive Committee may conduct business, including votes and appointments, by synchronous or asynchronous methods, including but not limited to in person meetings, teleconferences, videoconferences, group email threads, and web surveys. Vote: Sergei Arhipov seconded the motion, and the motion passed with 15 institutions in favor. 10.2.1. There shall be a Continuing Education Committee charged with promoting the educational development of SEPTLA by organizing programming at each plenary meeting and a Biennial Full Day Workshop. 10.2.2. The Continuing Education Committee shall consist of a Chair and three individuals; the Chair may recommend individuals to the Executive Committee for appointment to a two-year renewable term on the Continuing Education Committee. Vote: Karla Grafton seconded the motion, and the motion passed with 15 institutions in favor. 10.2.3. The Chair of the Continuing Education Committee is appointed by the Executive Committee for a two-year renewable term. 10.3.1. There shall be a Communications Committee charged with marketing outreach and promotion of SEPTLA and its activities, and also fostering communication and interaction among the membership between meetings. 10.3.2. The Communications Committee shall consist of the Website Manager, Newsletter Editor, Archivist, and two additional individuals. These officers and members are appointed by the Executive Committee for a two-year renewable term. 10.3.3. The Website Manager and Newsletter Editor shall serve as Co-Chairs of the Communications Committee. Discussion: Virginia Dearborn asked if there was a mention of marketing in relation to SEPTLA somewhere else. Myka Kennedy Stephens responded not that she was aware of. Virginia then asked the rationale. Myka clarified that this language was included for recruiting new members and based on the findings of the Future Task Force. Virginia questioned if this was recruitment or marketing. Myka elaborated that marketing is broader. Recruitment will be done by the Executive Committee. Gerald Lincoln echoed that marketing is broader, citing that librarians at current member institutions are not attending conferences or participating in leadership roles; hence an opportunity for marketing. Vote: Sandy Finlayson seconded the amended motion, and the motion passed with 14 institutions in favor. General Motion: To express thanks to the Executive Committee for their work on the changes to the constitution and bylaws. Lydia Putnam seconded the motion and there was a round of applause. Past President, Jenifer Gundry opened the election of officers. Myka Kennedy Stephens is willing to continue as president and no additional nominations were received in advance. Seeing no nominations from the floor, Jenifer closed further nominations, and Myka was elected by a clear majority. No nominations were received in advance. Jenifer called for nominations from the floor. Samantha Rice, New Brunswick Theological Seminary, volunteered to serve as secretary, and was elected by a clear majority. No nominations were received in advance, nor were any forthcoming from the floor. Nominations were then closed. The Executive Committee will appoint a treasurer at a later date. Myka Kennedy Stephens recommended a round of applause for Karla Grafton in recognition of her service over the years to SEPTLA. She will be missed, and we wish her all the best! Virginia Dearborn announced that the new SEPTLA website links to staff information on individual library’s websites; this information is not reproduced again on the SEPTLA website. She encouraged members to check this page of the website and let her know of any errors. Myka highlighted that the deadline for the ATLA first time scholarship was extended until May 1. Applications can be sent to Jenifer Gundry. We cordially invite you to Lancaster Bible College | Capital Seminary & Graduate School on Wednesday, October 4, 2017 to attend the fall SEPTLA meeting. Registration will begin at 9:15 a.m. in the Teague Learning Commons. If you plan to attend the fall meeting, please RSVP by Wednesday, September 27 to Bethany Fethkenher at bfethkenher@lbc.edu. Please include in your email whether you will be eating lunch at LBC. **Please indicate if you have any special dietary restrictions. Campus Map: Here is a campus map: https://www.lbc.edu/Assets/PDFs/About/campus_map-web.pdf. The Library is housed in the Teague Learning Commons (Number 16 on the map). Parking: The parking lot is outside of the Teague Learning Commons. Overflow parking is available on the gravel lot behind the building. There is no need for a parking pass. More details will be forthcoming in the SEPTLA Newsletter. I am writing this memo as a summary of my experience at the American Theological Library Association (ATLA) Annual Conference earlier this summer in Atlanta, Georgia. I first must begin my reflection by expressing my tremendous gratitude to SEPTLA and particularly the members of the Executive Committee who awarded me with this scholarship as a first-time attendee to ATLA. I did not imagine earlier this year that I would be able to attend the annual conference. At the last SEPTLA meeting I spoke with several members of the Executive Committee and was encouraged to consider attending the ATLA meeting. Again, I wish to express my profound gratitude for providing me with the scholarship that enabled me to attend. Without your assistance, I am certain that I would not have been able to attend my first ATLA conference. The opening address of the conference provided an interesting and useful framework for the sessions that followed. Rev. Dr. Christian Scharen of Auburn Theological Seminary offered the opening address entitled “Innovation in Theological Education.” He explained how older models of theological education/formation are being transformed by new technological innovation. Given one’s faith tradition, there are certainly limits to what innovation one may push for in theological education and formation. At Orthodox seminaries, for example, “innovation” is often placed in stark opposition to Holy Tradition. However, Scharen’s opening address provided an entry-point for reflection throughout the conference that kept me returning to the title of the ATLA conference: “The Human Touch in the Digital Age.” It is undeniable that, just like the world around us, theological education and theological librarianship is in a period of transformation. How can we remain faithful stewards to theological education/formation and theological librarianship in such a dynamic environment? This was the central question I considered as I attended a variety of sessions on different areas of librarianship such as digitization (i.e. Theological Commons of PTS), archival studies, information literacy, and digital curation. Several sessions throughout those days were immensely helpful in my own professional development in two major areas–archival studies (both in terms of the preservation of a library collection and the development of institutional memory) and practical advice in the formation of a research methods/information literacy curriculum. In both areas, I found these sessions offered practical ideas which I hope to be a major area of focus at St. Tikhon’s Seminary Library. As a way of concluding this reflection on my experience at ATLA in Atlanta, I would like to share two experiences. First, St. Tikhon’s Seminary Library recently joined the Theological Libraries E-book Lending Program (TLELP). TLELP is a consortium of independent libraries that purchase religious and theological e-books directly from publishers and share them with other libraries participating in the project. A group of participants gathered on the first day of the conference for a working lunch to discuss progress, pitfalls, etc. I learned much from this hour-long lunch and expect that St. Tikhon’s Seminary will contribute titles from St. Tikhon’s Monastery Press shortly. Secondly, a most unexpected event occurred on the final evening of the conference. I was invited by fellow Orthodox librarians from several member schools to join them in fellowship where we were introduced to one another and shared our own life journey to Orthodoxy. Again, I wish to convey my sincere gratitude for the generous scholarship to attend my first ATLA conference in Atlanta in 2017. It was a rich and joyful experience and I look forward to attending many more in the future. The Executive Committee voted to approve the agenda for the meeting. The Executive Committee voted to approve the minutes of the May 22, 2017 meeting, pending one typographical correction. The Treasurer’s Report dated May 22, 2017 August 1, 2017, was summarized by Patrick Milas, who reported that SEPTLA’s business account balance was $2,955.76 and the money market account balance was $6,699.97. The committee discussed recent leadership changes at member libraries, including the search for a new library director at the University of Valley Forge. Additionally, the consolidation of the two regional Lutheran seminaries into the new United Lutheran Seminary; Evan Boyd will be serving as the new library director and based in Philadelphia. After discussion, the committee received and approved the membership application, with no additional site visit required. Myka will place an announcement on the agenda of the Fall 2017 Business Meeting to outline the Executive Committee’s recommendation to amend the bylaws to allow for a briefer process for merger/consolidation situations going forward. Myka will issue a call for volunteers or nominees for all “vacant” positions during the Fall 2017 Business Meeting. Additionally, the committee identified a few members that Myka will approach individually to ask about taking on leadership positions. Alan LaPayover – 2017-2019 term, pending his consent. Myka will include in her call for open positions during the Fall 2017 Business Meeting a call for a future new editor of TeamWork, following Stephanie Kaceli stepping down from the role. Additionally, the committee voted to approve a recommendation to take an experimental approach to the Fall 2017 newsletter where SEPTLA would release information on the website as it becomes available. The Newsletter Editor would then collect it from the website and put it in a PDF format in advance of the Fall 2017 meeting. The committee discussed engaging the membership more widely on the PDF format, and the possible necessity of continuing some fixed form of TeamWork as the document of record for SEPTLA as a non-profit organization. The fall meeting is scheduled for October 4, 2018 2017 at Lancaster Bible College. The committee discussed possible themes, including focusing on unique collections (“Shine Locally, Share Regionally”) and the shaping of a members’ expertise list. Myka and Ondrea will continue planning the theme and update the committee. Research Services Interest Group – Patrick reported Director of Digital Initiatives Greg Murray (Princeton) will be present at the fall meeting to provide the Interest Group with a summary of his ATLA presentation on the availability of the Theological Commons and Internet Archive as an on-ramp for theological libraries wanting to build their digital collections. Cataloging and Metadata Interest Group – Chris did not submit a report in her absence. Communications Committee – Virginia reported that she has installed a SSL certificate for the SEPTLA website and is working to refine redirects. Myka closed the meeting, thanking the Committee for their work. The Executive Committee voted to approve the minutes of the March 2, 2017 meeting. Treasurer’s Report. The Treasurer’s Report dated May 22, 2017, was summarized by Clint Banz and submitted in full via email to Executive Committee. Continuing Education Committee Report. Karla reported that SEPTLA’s grant report appeared in the recent ATLA newsletter. Communications Committee Report. Virginia reported that she is exploring options for the website in the areas of auto-backup, secure plug-ins, and media image switch out options for the homepage. Cataloging and Metadata Interest Group Report. No report was submitted. Research Services Interest Group Report. Patrick reported that the group is working on speakers for the fall meeting. He noted the possibility of inviting Princeton Theological Seminary’s Director of Digital Initiatives Greg Murray to present a version of his ATLA presentation on using the Theological Commons as a platform for libraries to get their digital collections online and as a springboard for research. The committee discussed changes to the Constitution and Bylaws, as voted on at the April 2017 meeting. Clint and Patrick agreed to review the revised documents for errors in advance of posting the revised documents to the SEPTLA website. October 2017 – Fall Meeting. Clint will confirm if Lancaster Bible College is available to host the fall meeting (avoiding October 6). April 2018 – Spring Meeting. Myka will reach out to Cairn to confirm that they are available to host the spring meeting. Myka summarized recommendations from the Future Task Force Recommendation document, submitted by Gerald Lincoln and Mark Draper. Organizational Assessment – It was agreed this area of activity will be the responsibility of Executive Committee, with the Past President responsible for developing and conducting regular meeting surveys. Surveys can include assessment questions, along with suggestions for continuing education and interest group foci. Survey meeting attendees regularly; coordinated by the Past President. Add discussion of survey results along with feedback and observations to the Executive Committee Meeting agendas. 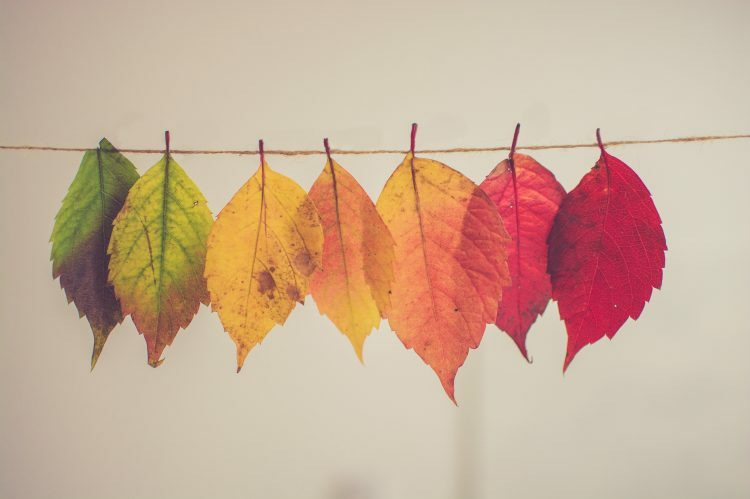 Cultivate Leadership – It was agreed that this area of activity will be the shared responsibility of Communications and Continuing Education Committees. Activities and Opportunities – It was agreed that this area of activity will be the responsibility of Continuing Education Committee, as it develops programs and meetings. Add virtual meeting components to General Meeting, following the success of the virtual meeting held in conjunction with the live April 2017 meeting. Outreach and Community Building – It was agreed that this area of activity will be the responsibility of Communications Committee. Membership Task Force – A new task force that needs leadership and members. Resource Sharing Task Force – A new task force that Mark Draper has agreed to chair. Gerald Lincoln has agreed to serve as a task force member. Mark and Gerald have undertaken a good amount of preliminary research in this area. To research existing consortial purchasing opportunities available to SEPTLA member libraries, including but not limited to: ATLA, ATLA/SCELC Affiliate Program, LYRASIS, Tri-State College Library Cooperative, and PALCI. Patrick Milas to the office of Treasurer. Patrick will serve a full four-year term, effective upon appointment until the 2021 Spring Meeting. Ondrea Murphy as Chair of the Continuing Education Committee, effective upon appointment due to Karla Grafton’s move this summer. Her two-year term will extend until the 2019 Fall Meeting. Virginia Dearborn to continue serving as Website Manager, effective upon appointment until the 2019 Fall Meeting. Continuing Education Committee. Karla recommended asking the new chair to recommend a fourth committee member. Julie Dawson – consider reappointing to two-year term. Lydia Putnam – consider reappointing to two-year term. Communications Committee. Myka and Virginia will discuss options for committee membership in advance of the August 2017 Executive Committee meeting. Co-Chair: Stephanie Kaceli – Starting this fall, Stephanie will not be able to serve on the Executive Committee, so a new appointment may need to be made. Myka will confirm with Stephanie if she might consider continuing with the newsletter editorship. Myka Kennedy Stephens – former Website Task Force member; consider reappointing to two-year term. Lydia Putnam – former Website Task Force member; consider reappointing to two-year term. Jocelyn Abel – current SEPTLA archivist. Myka will contact her to see if she is still interested in serving. Membership Task Force. Myka will send an email to the SEPTLA membership to solicit volunteers for the open position. Chair: Mark Draper is willing to serve. Gerald Lincoln is willing to serve. Myka will ask Mark and Gerald to recommend a third task force member. Myka will issue a Doodle poll prior to scheduling the August Executive Committee meeting. Myka closed the meeting, thanking the Committee for their work and expressing a special thank you to Karla Grafton for her wonderful leadership as Chair of the Continuing Education Committee.